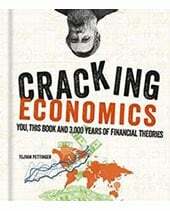 A production possibility frontier shows how much an economy can produce given existing resources. 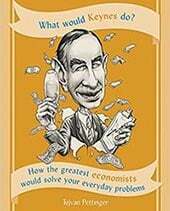 A production possibility can show the different choices that an economy faces. 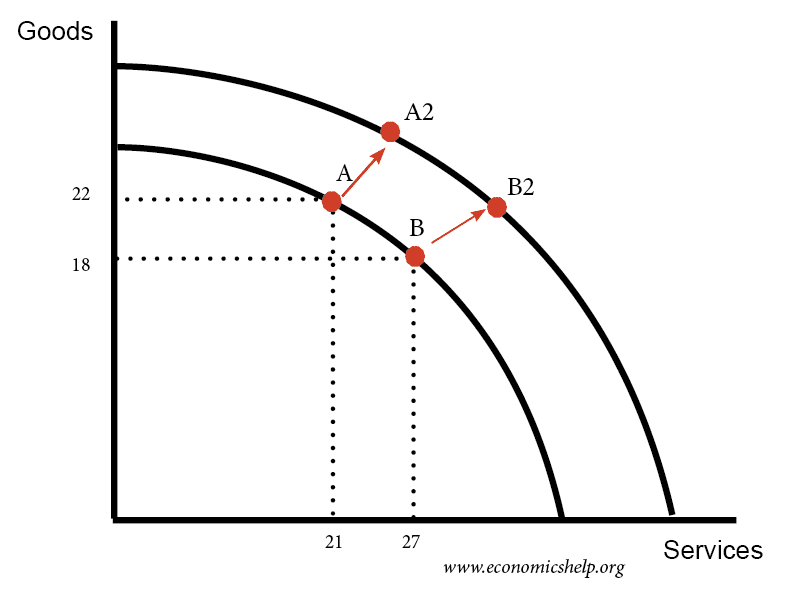 For example, when an economy produces on the PPF curve, increasing the output of goods will have an opportunity cost of fewer services. 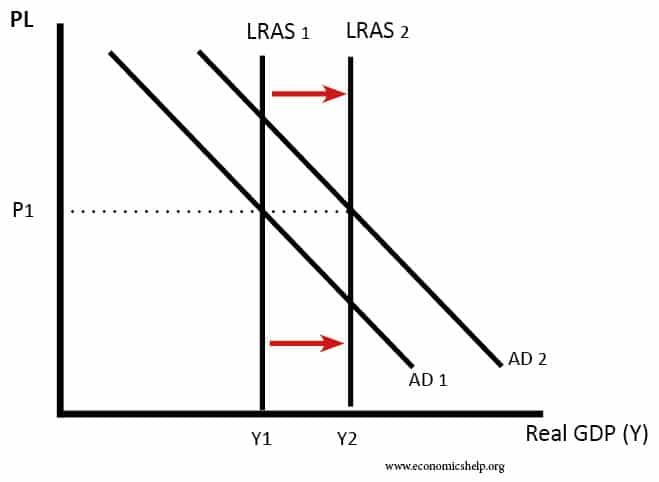 At point D, the economy is inefficient. At point D, we can increase both goods and services without any opportunity cost. 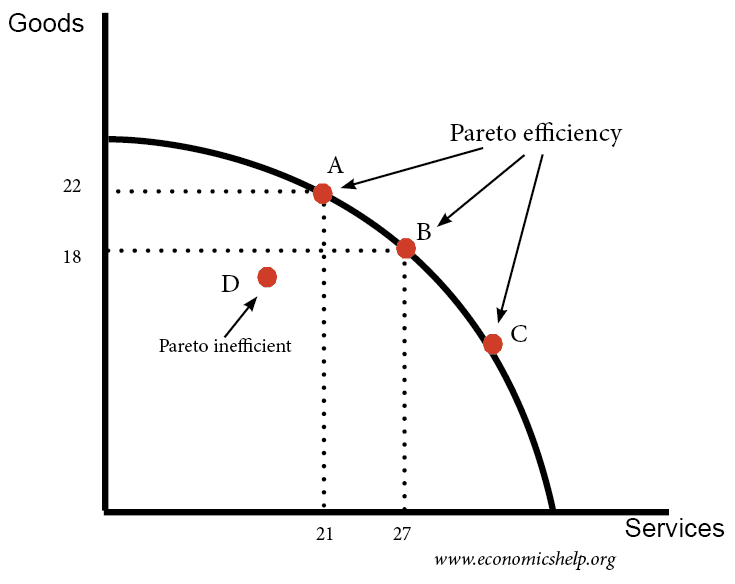 Pareto efficiency is any point on the PPF curve. On the PPF curve, it is impossible to increase one choice, without causing less production of the other. 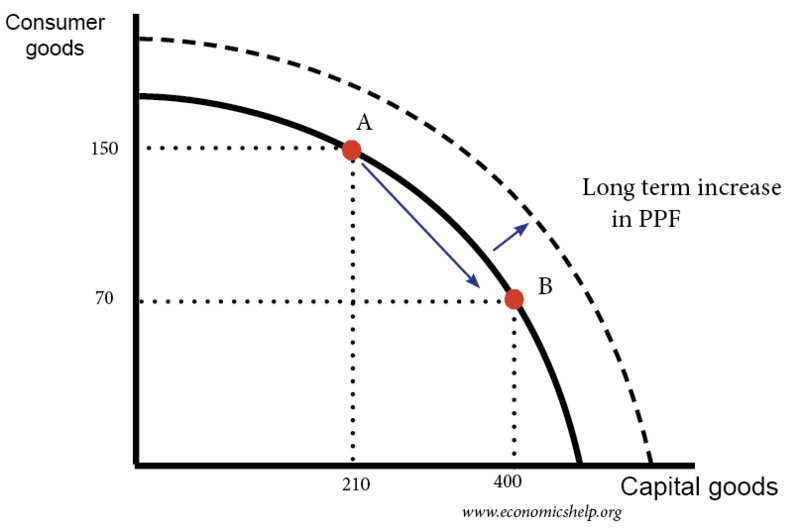 If there is an increase in land, labour or capital or an increase in the productivity of these factors, then the PPF curve can shift outwards enabling a better trade-off. Graph showing increase in PPF. 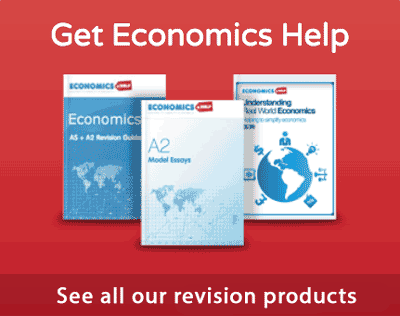 One choice an economy faces is between capital goods (investment) and consumer goods. 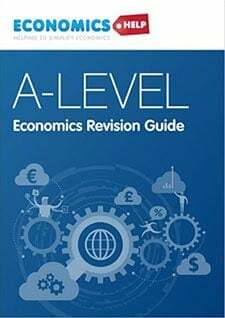 If more resources are devoted to capital goods (e.g. building new factories) then in the short-term, consumption will go down. Increase in capital goods has an opportunity cost of fewer consumer goods, but in long-term can enable economic growth. Similarly, a decline in investment can enable more consumer goods in the short-term but can lead to lower rates of economic growth. 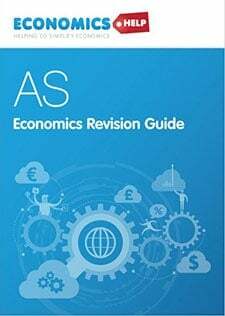 A recession can be shown by output falling below the production possibility frontier (from A to B). Any government faces a trade-off in how to use scarce resources and tax revenue. If the government increases spending on the military, then the opportunity cost will be less spending on another public service, such as health care. 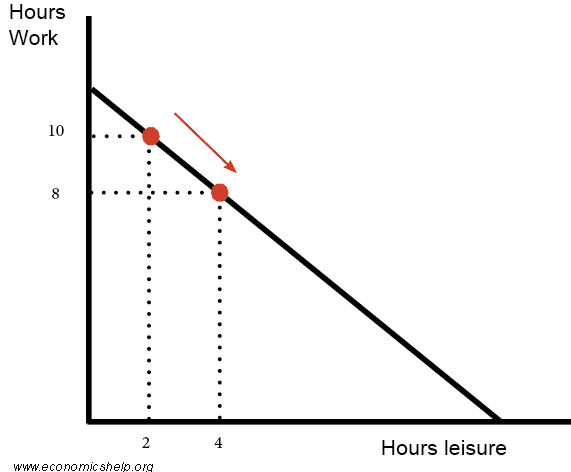 This shows a trade-off between working and hours spent in leisure.